Backing both teams to find the back of the net in the UEFA Champions League match between Dortmund and Zenit is the best bet out of this week’s four second-leg games. The UEFA Champions League tie is almost done and dusted as Dortmund leads 4-2 following the first leg in Russia and, therefore, the German Bundesliga side would have to concede at least three goals not to reach the quarter-finals. There is almost no pressure on Dortmund, and Zenit has nothing to lose so one can expect the match to be free flowing. 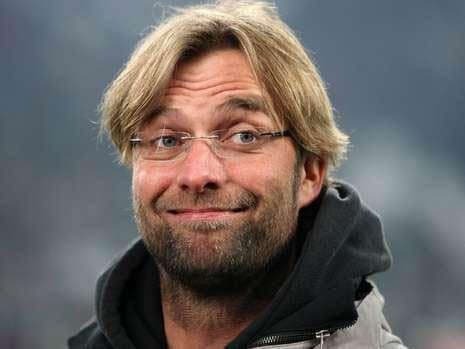 Dortmund is a dangerous team to face at the best of times but, eager to atone for its 1-2 German Bundesliga loss to Monchengladbach, lining up an opponent that it thrashed three weeks ago and playing without real pressure, Jurgen Klopp’s side could produce an exhibition-like performance. Zenit has scored in each of five UEFA Champions League away games this season. All up, Zenit has scored in all bar two of its 16 road matches this term. Surely Zenit has to give it a go from the opening whistle and Dortmund’s defensive numbers are such that, while three away goals may be too many for the Russian Premier League team to manage, one ought to be within its compass. Coral is offering odds of 1.91 that both Dortmund and Zenit scores in their second leg, an option that makes considerably greater appeal than over two and a half goals at odds of 1.53 with BetVictor. Manchester United was atrocious in its predictable English Premier League home loss to Liverpool, going down 0-3 to its traditional rival and managing only one shot on target even though the Red Devils had Wayne Rooney and Robin van Persie up front. Manchester United looked clueless at the back and directionless further forward, while it is clear that David Moyes has lost the Old Trafford dressing room. Some players do not want to play for the Manchester United manager and, if the Red Devils stick with Moyes, the chances are that their predicament will get worse before it gets better. See the Next Man Utd Manager Betting piece here. One should expect Olympiacos to sit back and defend its 2-0 lead in its UEFA Champions League tie against Manchester United. Olympiacos sold its top goal scorer, Konstantinos Mitroglou, to English Premier League struggler Fulham in January so the Greek Super League side does not carry the same threat that it did a few months ago. Olympiacos boss Michel devised a plan to afforded Manchester United plenty of possession but limited sights of goal three weeks ago and, although the venue changes, the tactics may not. Paddy Power and Stan James are offering odds of 2.20 about Manchester United and Olympiacos combining for under two and a half goals in their UEFA Champions League clash at Old Trafford. One thinks that those odds are far too high. If Olympiacos scores first then this Manchester United team could give up the ghost because it would require four goals in normal time. If Olympiacos scores first then the game could peter out, while if Manchester United scores first then the Greek Super League side is likely to retreat and get 11 men behind the ball at all times. And who is to say that either Manchester United or Olympiacos will score. Finally, Chelsea should be too strong for Galatasaray, whose squad includes Stamford Bridge legend Didier Drogba, in the most finely balanced of the UEFA Champions League second legs taking place this week. Chelsea home defeats under Jose Mourinho are as rare as hen’s teeth and Galatasaray’s away record, both in domestic and continental competitions, does not point to it getting either the win or high-scoring draw that it needs to reach the last eight. Chelsea is trading at odds of 1.40 with several bookmakers, including Bet365 and Ladbrokes, and that is fair enough.